Tournée shopping Aldo x LOULOU ce jeudi ! 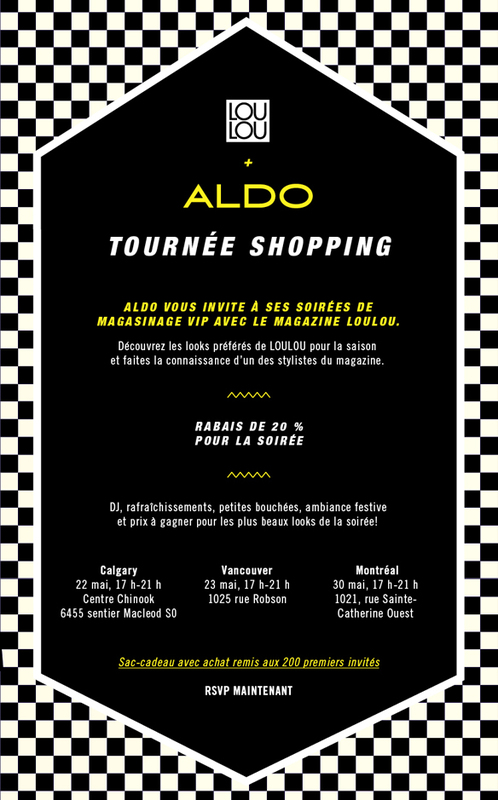 This Thursday May 30th from 5 to 9 pm, the Aldo flagship store (1021 Sainte-Catherine Ouest/Coin Peel) is inviting you to a VIP shopping night with LOULOU magazine. 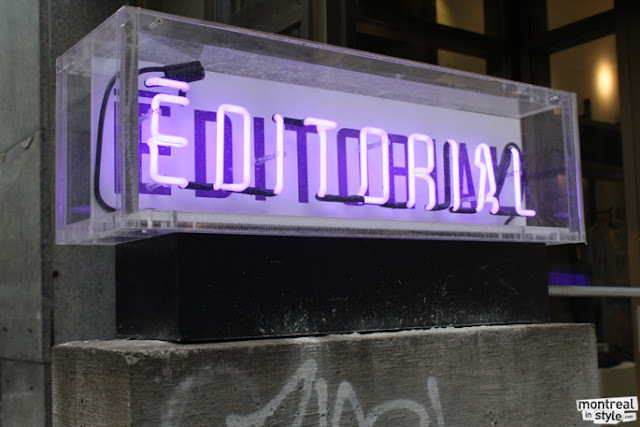 Plans for the evening include: expert advice from Loulou's editor in chief Julia Cyboran, DJ, snacks, photobooth, prizes for the best looks of the evening and 20% discount ! Furthermore, I will be there as well to help you choose your best shoes, talk with you and you can also exchange with me via Twitter and Instagram @aniklacasse and #AldoxLoulou. It's gonna be a great evening ! Reserve your spot right now by clicking here. See you guys Thursday ! Rudsak Flash Sale : it's on !